With so many tasty choices like lasagne, spaghetti, and parmigiana, almost everyone has a favorite Italian dish. 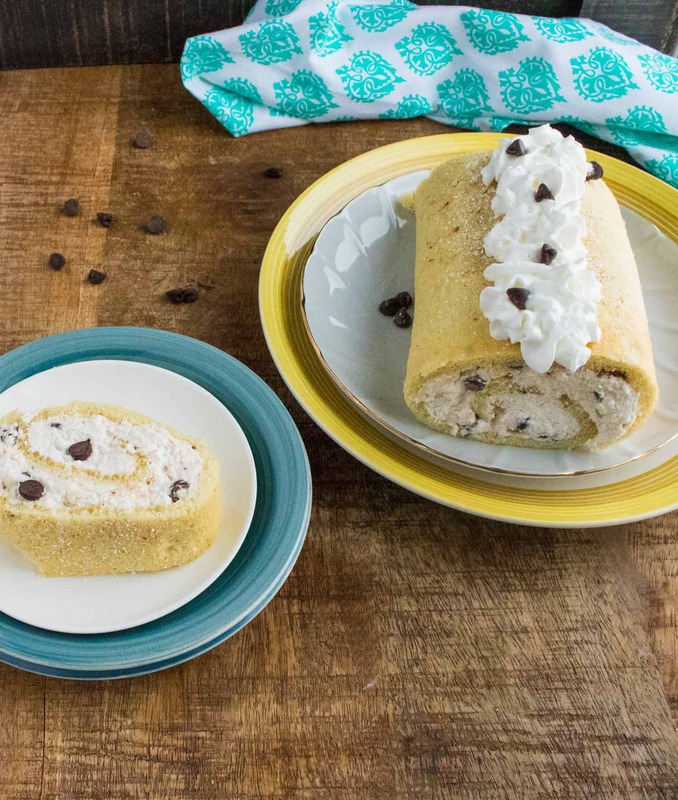 But after tasting this amazingly delicious Cannoli Cream Cake Roll, you might just want to fast-forward straight to dessert! 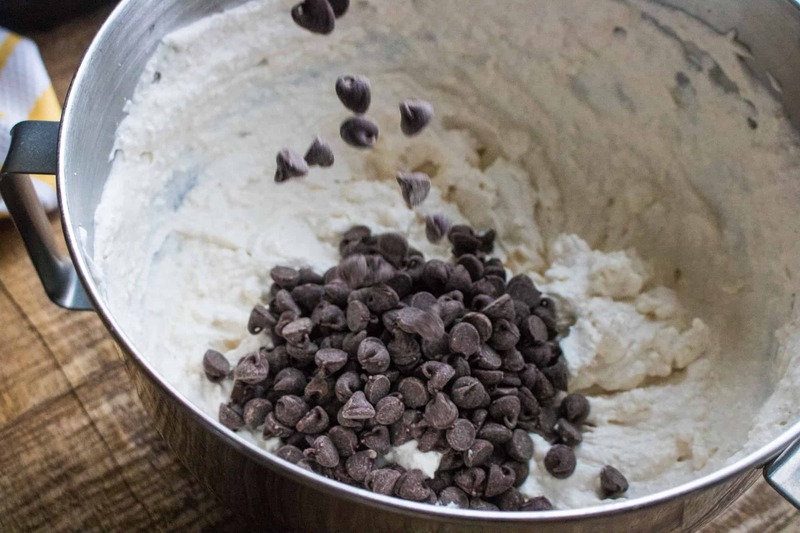 This spin on the popular classic Italian dessert is moist and flavorful, making it the perfect ending to any meal — Italian or otherwise! Cannoli is a traditional Italian sweet treat which originated in the region of Sicily. Cannoli consist of a deep-fried tube of pastry that is filled with sweetened ricotta cheese, often mixed with the addition of nuts or chocolate bits. Because it’s a fun, delicious and creative take on the Italian classic. You can be a bit of a renegade, while still pleasing traditional cannoli lovers. Once they taste this masterpiece, they’ll want to start trying all sorts of new things. 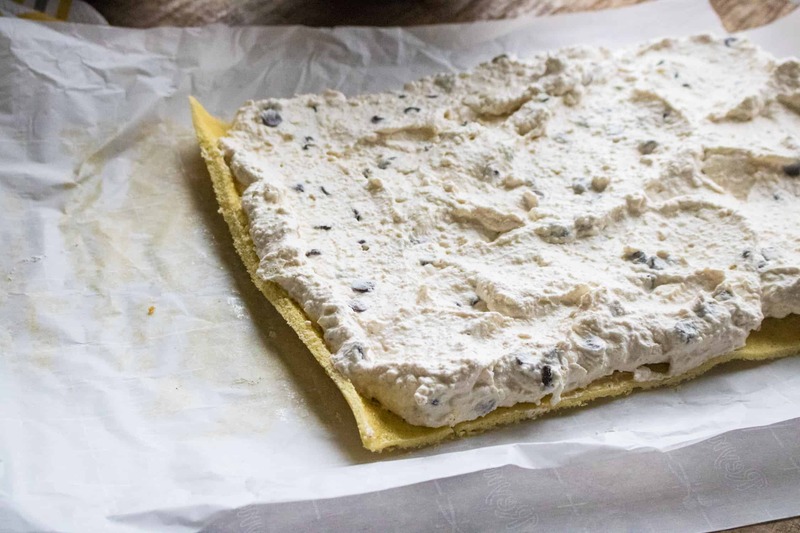 It has rich and creamy ingredients, but still feels light and airy on the tongue. Because it looks fancy, but is actually quite simple to put together. The chocolate chips! Need I say more? Looking For More Amazing Cake Desserts? Step #1: Preheat oven to 375 F. Line a jelly roll pan with buttered foil or parchment paper. Step #2: Beat the eggs, gradually adding a cup of granulated sugar. Stir in water and vanilla extract. Step #3: Sift in flour, baking powder and salt, and fold batter together. Pour the batter into the pan. Step #4: Bake for 15 minutes. Cake will be springy to the touch and start to shrink away from the sides of the pan. Step #5: Lay out a sheet of parchment paper slightly longer than the cake and sprinkle lightly with powdered sugar. Take off the foil or parchment paper and cut away the crusty edges of the cake. Step #6: Roll the cake up in the parchment paper sprinkled with powder sugar. Place in the refrigerator to cool. 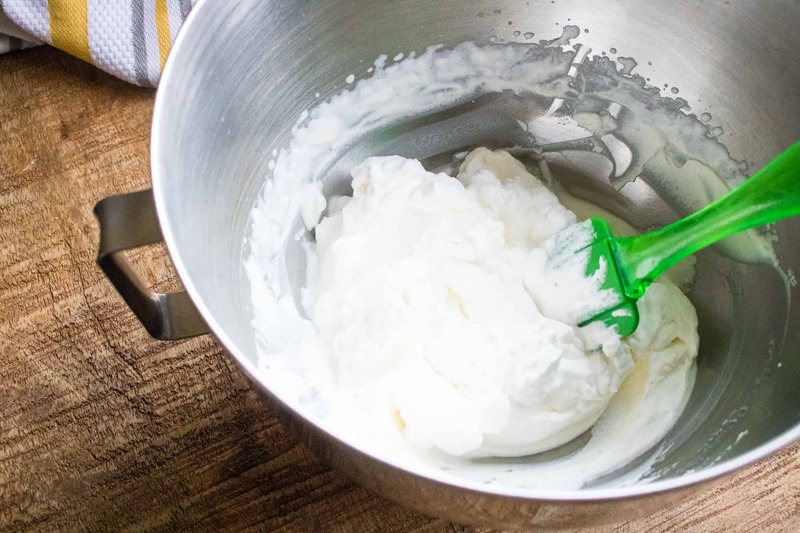 Step #7: Whip heavy cream on high in a stand mixer until cream is thick. Add in Ricotta cheese, cream cheese, powdered sugar, vanilla and cinnamon. 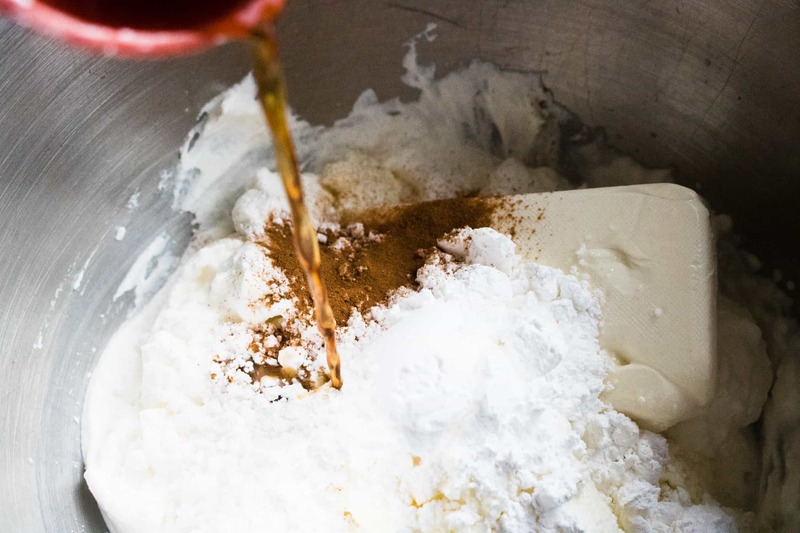 Step #8: Mix on low to medium to combine until ingredients are mixed together well. Step #9: Stir in chocolate chips. 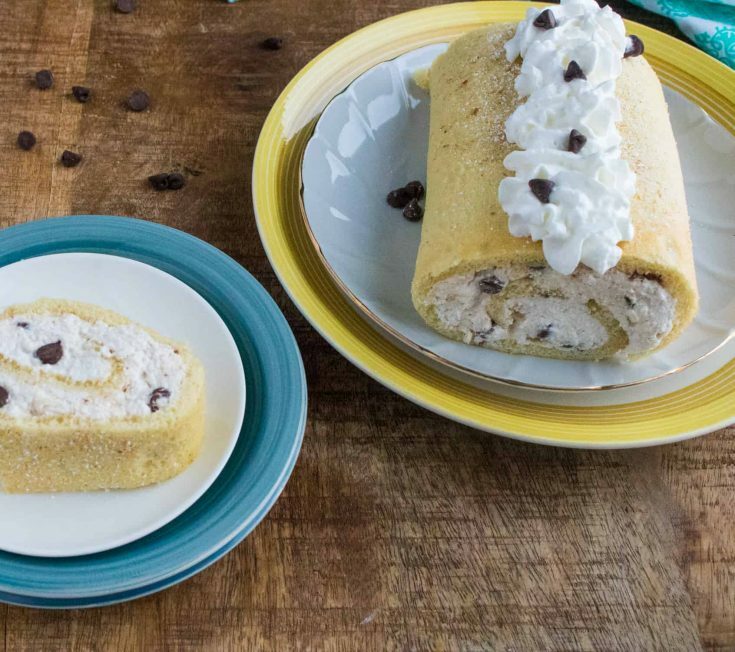 Step #10: Unroll cake and spread the cannoli filling over the cake. 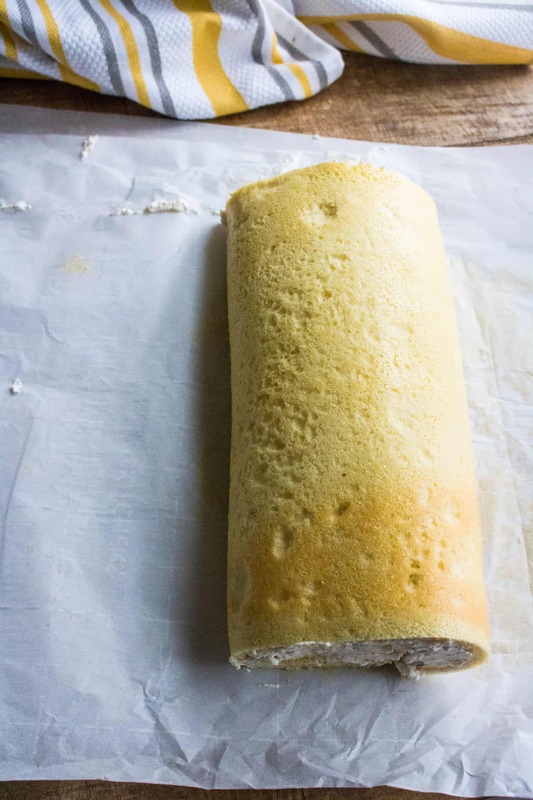 Step #11: Tightly roll the cake back up and refrigerate for an hour before serving. 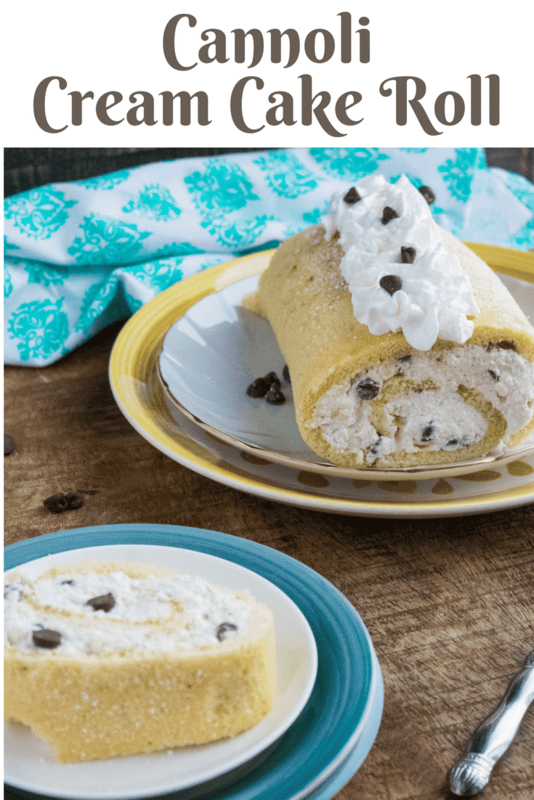 Step #12: Decorate the top with whipped cream and a sprinkle of chocolate chips. Step #13: To slice, run hot water over a knife and wipe dry before slicing straight through. Rinse in hot water and dry knife in between cutting each slice. This allows for a cleaner slice. Buon appetito! 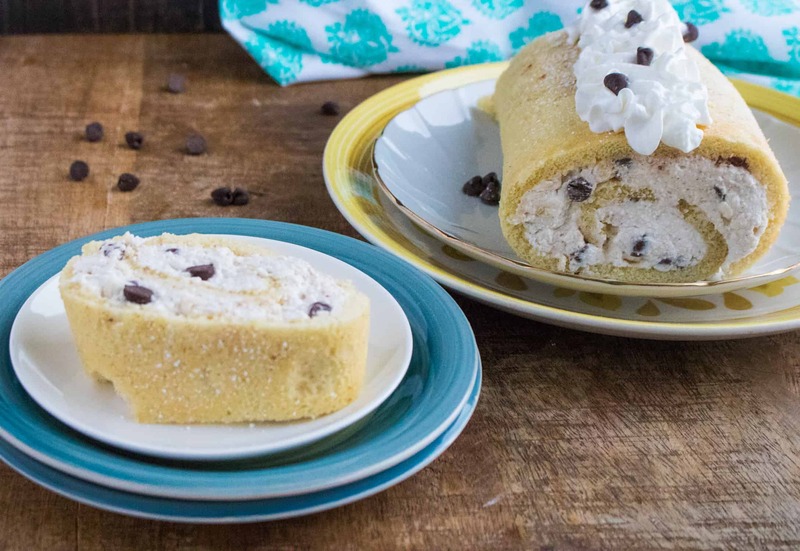 Delicious, cream-filled cannoli cake with chocolate chips. Preheat oven to 375 F. Line a jelly roll pan with buttered foil or parchment paper. Beat the eggs, gradually adding a cup of granulated sugar. Stir in water and vanilla extract. Sift in flour, baking powder and salt, and fold batter together. Pour the batter into the pan. Bake for 15 minutes. Cake will be springy to the touch and start to shrink away from the sides of the pan. 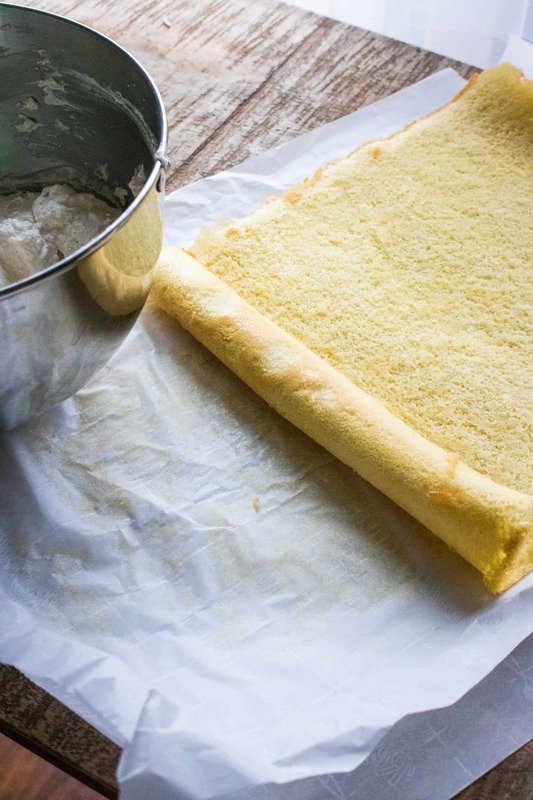 Lay out a sheet of parchment paper slightly longer than the cake and sprinkle lightly with powdered sugar. Take off the foil or parchment paper and cut away the crusty edges of the cake. Roll the cake up in the parchment paper sprinkled with powder sugar. Place in the refrigerator to cool.